Sign up for regular email updates from the league. Learn more about our annual scholarship! Stay current on what we’re up to! Visit our FLAG Flag Football Calendar. Read more about us and playing flag football with our organization. In case you missed it at last week’s Meet Your Team Party, our league has a brand new Facebook page! Over the years, you have enjoyed sharing and commenting on the posts in our Facebook group, but our new page will create new ways for you stay in-the-know on league events and to keep in touch with your fellow FLAG Flag Footballers! 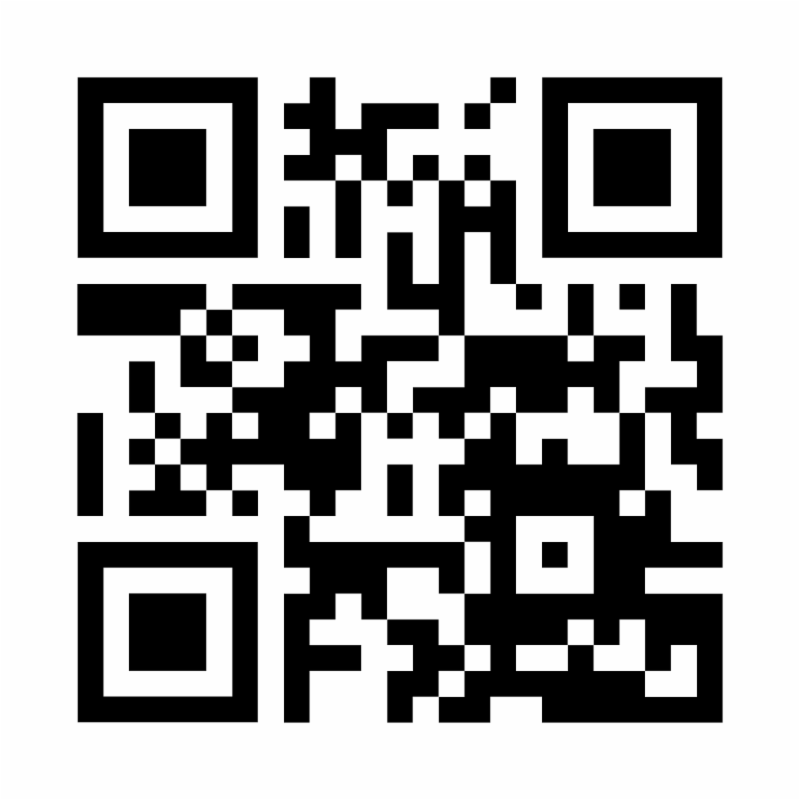 You can access our new page at https://www.facebook.com/FLAGflagfootball or by scanning the QR code below! You can also find this QR code on this year’s “Captains” and “Directors” t-shirts, and the code will be on display at various events throughout the season! Please like our new page quickly, because we’ll be shutting down the group at some point this year and we don’t want you to miss out on our posts! If you have any questions regarding our league’s social media presence, please contact Kyle Hamilton, Social Director: kyleh@flagflagfootball.com. These sessions are open to the entire league and are free to all participants. Every week will consist of new drills and exercises to help you improve your skills, so don’t miss it! As if we need more of an excuse to have a Sunday Funday, this year FLAG Flag Football and dbar will be celebrating Cinco de Mayo together! Bring your friends to dbar on Sunday, May 5 from 12-4PM for a day full of fun! We’ll have food and other surprises in store, so grab your sombreros, RSVP to the event on Facebook and we’ll see you there! 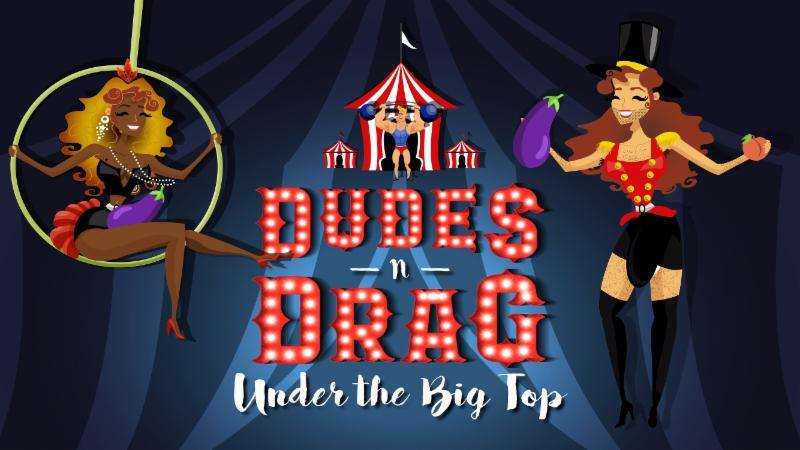 Come one, come all, to the best circus in town!On Thursday, May 16, FLAG Flag Football presents Dudes ‘N Drag: Under the Big Top, a one night only spectacular! Join us at Venu for some mesmerizing performances, a mouth watering pit crew and possibly a bearded lady or two! There’s no better show on earth! There’s no better show on Earth! RSVP to the event on Facebook and we’ll see you there! We are delighted to present our 2019 Marc E. Lewis Youth Scholarship winner – Ty “T” Warren from Dalton, Massachusetts! 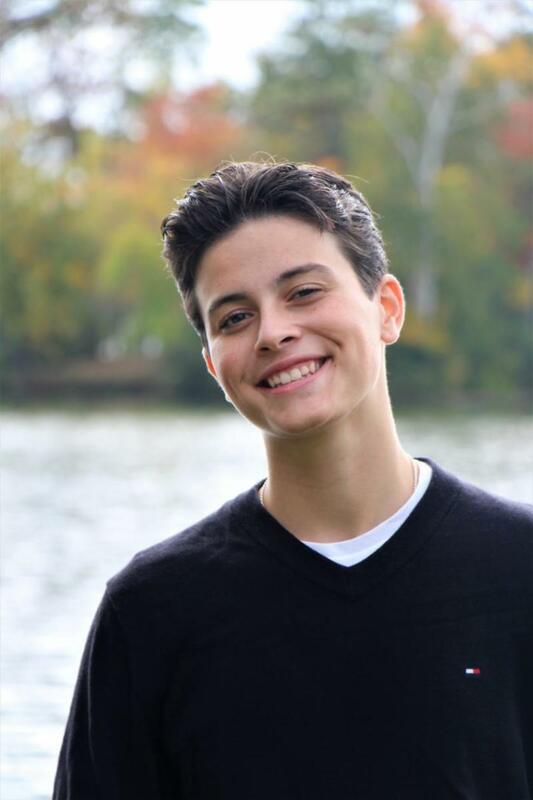 T is a senior at Wahconah Regional High School, and embodies what the scholarship was founded six years ago to recognize – a graduating senior who has made high school and/or community sports safer for and more inclusive of LGBTQ+ student athletes. To learn more about T’s story, our past Marc E. Lewis Scholarship winners, or how you can get involved with the program, please visit our scholarship page. It’s finally here! Clinic Day takes place tomorrow at Walsh Playground (967 Washington Street) starting at 9:00AM. This program is MANDATORY for new players to the league as this is your opportunity to come out and learn about the game and meet this season’s captains! We’ll also have some complimentary snacks on deck provided by our friends at 88 Acres – be sure to grab one at the registration table when you sign in! Returning players – you are welcome to attend the clinic, but new players will be prioritized for playing time during scrimmages to give them the proper opportunity to learn the rules. You are also welcome to join the On-Field Referee Training also taking place on Saturday. Once we wrap up, please join us at The Blarney Stone! It’s time to squad up! Join us at Club Cafe (209 Columbus Avenue, Boston) this Sunday at 2:00PM for the Meet Your Team Party! Get ready for an afternoon full of fun and surprises as you meet your new captain and fellow teammates and find out your team color for the season. All are welcome and encouraged to attend – RSVP to the Facebook event and we hope to see you there! If you have any questions regarding the Meet Your Team Party or any of this season’s upcoming events, please contact Kyle Cyr, Director of Events: kyle@flagflagfootball.com. The Spring 2019 FLAG Flag Football season is finally here! Registration opens Monday, March 11 at 7:00PM via this link! Also – don’t forget that you can register to play with up to two of your friends this season, so now is the time to squad up! Ever dreamed of playing football in NYC? 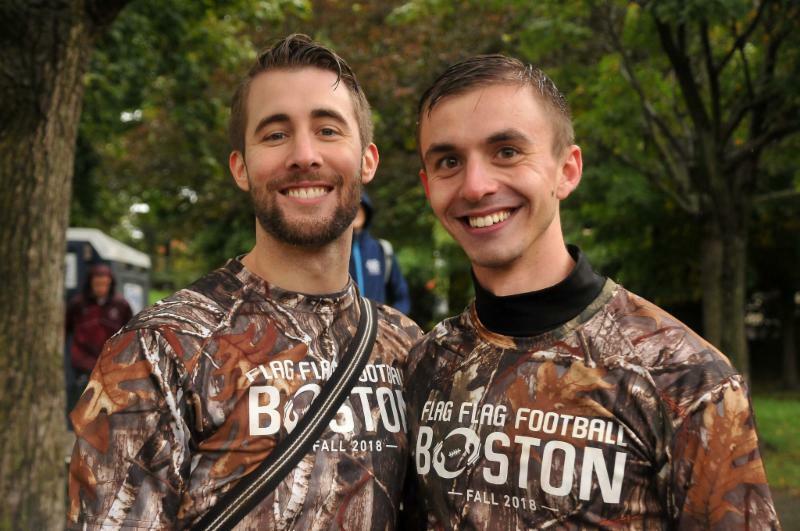 We are incredibly excited for Boston to invade New York City in 2019 for Gay Bowl XIX – and we want to hear from you on how make that happen in the best way possible! FLAG Flag Football is looking to take our Tournament Team experience to the next level. We are asking players to register now via this survey if you are interested in playing on a tournament team in 2019. The registration form includes a handful of questions to answer. This information will help us determine what our players would like to see out of the future of the Boston Tournament Teams and what is our best path to collective success. If you have any questions or would like to know more, please reach out to Kim Herrig, Director of Tournament Teams at kim@flagflagfootball.com. Spring Registration – March 11! Registration for the Spring 2019 season will open on March 11 at 7:00PM. Don’t forget that you can register to play with up to two of your friends! If you have any questions regarding the upcoming FLAG Flag Football season, please reach out to your 2019 Board of Directors at board@flagflagfootball.com. Congratulations to Coral Pleasure—our 2018 Super Fabulous Bowl Champions! …and congratulations to Orange County Poppers for making it to the finals! Super Fabulous Bowl Brackets Revealed! Which player snaps his fingers so hard it hurts? Which player has Canadian roots? Which player would be a great supporting character on Love & Hip Hop? Which player has never turned down any mystery food they’ve been served? Each week, we will feature both a Veteran (Khalid Brammer-Blackman) and Rookie (Raysel Martinez) player so you can get to know your fellow FLAG Flag Footballers a little better. Check out this week’s Player Spotlight today! Looking to get a fresh cut heading into this weekend’s Super Fabulous Bowl, or trying to look your best for Mom & Dad at Thanksgiving dinner next week? HPO is offering a 20% discount to all FLAG Flag Footballers through the Thanksgiving holiday – just show them this e-mail upon your arrival to the salon!Book your appointment with HPO online or call 617.472.1060! Walk-ins are also welcome! Week Eight: We’re Back in Action! 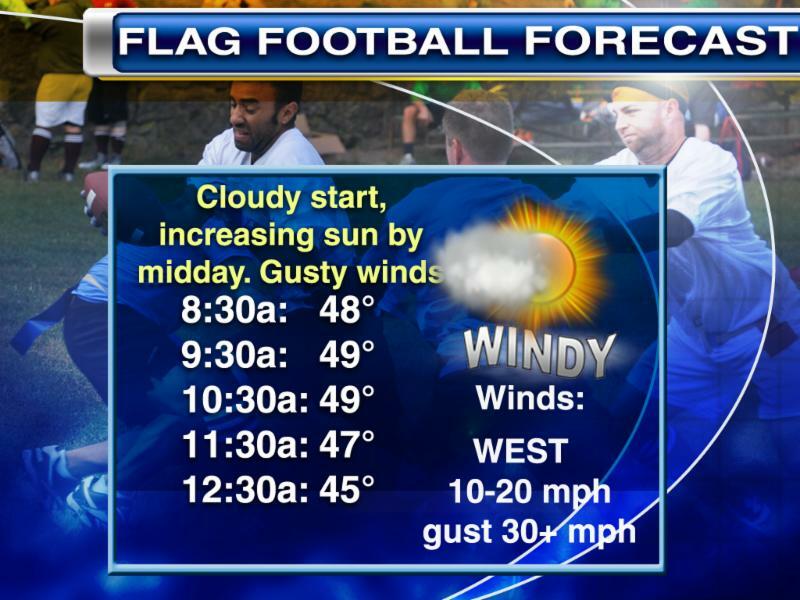 After two straight weekends of rain-outs, Mother Nature is finally giving us a (brief) break and FLAG Flag Football is back in action!We’ve all enjoyed some much needed rest (read: two straight Saturdays of mimosa brunches), but with Super Fabulous Bowl just one week away, it’s safe to assume that a number of teams will come out this weekend firing on all cylinders. Now is the time to put your foot on the gas and bring it! For Saturday 11/10 – it will be business as usual. We’ll be sticking to our standard schedule and format for this day. For Sunday 11/11, we will be playing a day of make-up games due to last week’s rain-out.Please note that all games scheduled on Sunday 11/11 are starting 30 minutes earlier than usual. For parking at Dorchester Park this weekend, we will have parking vouchers for the Carney lot on hand that will cover both days. Follow up with your captain or a Board member prior to leaving the field and they will make sure you receive one.We are still missing a ton of team photos! If you haven’t done so yet, please find Patrick Lentz this weekend and get yours done! After games on Saturday, please be sure to swing by Blarney Stone where we will be announcing the Volunteer of the Quarter!Lastly, brackets for the Super Fabulous Bowl will be announced on Sunday, so stay tuned for those as well! LAST CHANCE: Player’s Choice Awards! Time is running out! The Fall 2018 Season-End Player’s Choice Award survey is closing on Monday 11/12 and we want to hear from you! Submit your pick for the best team name, best team socks and Miss Congeniality! The winners will be announced at the Season-End Party on November 18, so get your votes in ASAP! SUNDAY 11/18: Season End Party at Blazing Paddles! Join us on Sunday, November 18th at Blazing Paddles from 11:00AM – 2:00PM for the final event of the Fall 2018 season! We’ll be sending off our 20th anniversary season in style as we recognize teams and individuals for their numerous league contributions (over food and drinks of course). Also, your 2018 Super Fabulous Bowl champions will be receiving their trophy! Also at this year’s season-end event, we will be hosting a gift drive in partnership with Toys For Joys. Please bring unwrapped sporting goods and equipment for kids and teens for them to enjoy this holiday season. To learn more about the organization and its partner charities, please visit Toys4Joys.org. RSVP on Facebook and we’ll see you there! Which player could be considered an aviation expert? Which player has an unprecedented skill of writing song parodies? Which player thinks they would make a great contestant on Naked Attraction? Which player can’t get their captain to pronounce their name properly, no matter how hard they try? Each week, we will feature both a Veteran (Casie Horgan) and Rookie (Alex Hamling) player so you can get to know your fellow FLAG Flag Footballers a little better. Check out this week’s Player Spotlight today! Did you cast your vote yet? The Fall 2018 Season-End Player’s Choice Award survey is here – submit your pick for the best team name, best team socks and of course, Miss Congeniality! Midterm elections are here! Election Day is this Tuesday, November 6 and there are three important ballot questions. Question 3 is in regard to upholding our state’s 2016 expansion of its transgender non-discrimination law. A vote ‘yes’ upholds it and provides continued protection to transgender people. FLAG Flag Football’s vision and mission include support of transgender people. Everyone is encouraged to exercise their right to vote on Tuesday, Nov. 6th (or earlier)! THIS WEEK: Sunday Funday at Coppersmith! Sunday Funday is almost here! Join us at Coppersmith on November 4 at 4:00PM and celebrate the fall season at one of Southie’s coolest hangouts – we’ll have the roofdeck or a private room depending on the weather. Stick around for the Pats/Packers game afterwards!Don’t forget to RSVP on Facebook! Season-End Party at Blazing Paddles! Partake in some snacks and drinks as we recognize individuals from each team and their contributions both on and off the field. And of course – we’ll crown the new Super Fabulous Bowl Champions! Join us for our last Player/Referee training session! 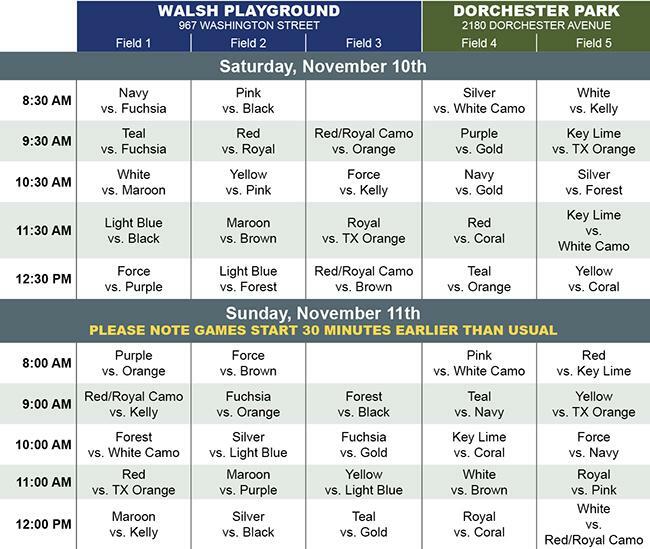 During the Game 1 time slot (8:30AM) head over to Field 3 at Walsh as we review the games in progress to help you sharpen your skills. With the impending horrendous weather posing a safety risk, all games for Week Six have been cancelled. Although this weekend’s games were non-conference, we will be exploring potential options for a make-up date and will keep you updated. However, don’t let the cancellation prevent you from getting together with your fellow teammates! Our Commissioner Level sponsor The Blarney Stone will be offering 1/2 off all appetizers for anyone in their FLAG Flag Football gear! You know you would have ended up at Blarney anyway, so join us there! Doors open at 11am. It’s official! The Locker has been restocked with tons of new swag ready for purchase! You have until end of day 11/7 to place your orders. T-shirts and fleece sweatpants will be distributed at the Super Fabulous Bowl, and hats will be distributed in early December. Visit flagflagfootball.com/shop and order your league branded gear today! It’s time for you to make your pick! The Fall 2018 Season-End Player’s Choice Award survey is up – cast your vote for this season’s best team name, best team socks and of course, Miss Congeniality! Your FLAG Flag Football Board eagerly invites applications for Board members to serve during the 2019 calendar year. The 2019 Board will be elected at the November Board Meeting and will be introduced to the league at the End of Season Party on November 18. The Board meets monthly throughout the year — starting with a weekend retreat — to help shape and direct our non-profit organization. If you have questions about the process or about serving on the Board, please contact Ken Westermann, Commissioner: ken@flagflagfootball.com. REMINDER: Sunday Funday at Coppersmith! We’re a little over a week away from our Sunday Funday league event at Coppersmith on November 4 from 4:00PM! Join your fellow FLAG Flag Footballers and celebrate the fall season in one of Southie’s best hangouts – we’ll have the roofdeck (if its’s nice out) or a private room. Stick around for the Pats game afterwards! Which player has a black belt in taekwondo? Which player thinks being featured in a viral meme would be their claim to fame? Which player ran into a crew filming The Amazing Race in Singapore? Each week, we will feature both a Veteran (Colin Gibbons) and Rookie (Collyn Heier) player so you can get to know your fellow FLAG Flag Footballers a little better. Check out this week’s Player Spotlight today! You better believe it! We re officially at the halfway mark of the season, and we want to hear from you! Let us know how your Fall 2018 season is going so far by completing our mid-season survey by next Friday, October 19th. Wait…we’re halfway through the season?!?! Yes, ma’am! Our Fall 2018 season is flying by as we head into another exciting weekend of games. Both conferences have two teams tied for first place in the standings, while a number of contenders are looking to climb their way up the leaderboard. Week Five is about to get real. We’re at the halfway point of the season – but we only have six team photos taken. If your squad is in full attendance (or at least close to it) in these next few weeks of play, please be sure to have our beloved Patrick Lentz get your team photos done! We hope you’re well-rested and fully recovered from our 20th Anniversary weekend celebrations, because we’ve got another week of conference games coming at you! With a three-way tie for first place in the American Conference and a five-way tie for second place in the National Conference, the competition is fierce heading into this week’s games! Friends & Family Day: Photo Contest Winners! Congratulations to the Orange County Poppers for winning our Friends & Family Day photo contest! Thank you for for inviting all of your supporters to the fields to join our league for this special day. Enjoy the pizza party that is coming your way! Which player wants to marry Brad Stevens and star on Basketball Wives? Which player simultaneously played on multiple competitive soccer teams at once? Which player works part time at one of your favorite local gay sports bars? Which player thinks getting hit by a MBTA bus could be their big claim to fame? Each week, we will feature both a Veteran (Matt “Lappy” Laptewicz) and Rookie (Rorrie Mellor) player so you can get to know your fellow FLAG Flag Footballers a little better. Check out this week’s Player Spotlight today! Your 2018 Board of Directors has crafted and adopted a league-wide Inclusion Policy in order to help us further embrace diversity and continue our mission of tackling stereotypes, building community and transforming lives through the sport of flag football. Which player has lived in over eight cities? Which player had childhood dreams of being an astronaut? Which player competed in a Qdoba eating contest? Which player drinks iced coffee year round, regardless of how cold the weather gets? Each week, we will feature both a Veteran (Robbie Dyer) and Rookie (Patrick Smith) player so you can get to know your fellow FLAG Flag Footballers a little better. Check out this week’s Player Spotlight today! Opening Weekend is Finally Here! It’s like the first day of school, but better. Teams have been drafted, colors have been selected and names have been picked – it’s time to kick off the Fall 2018 FLAG Flag Football season with the first official week of play! 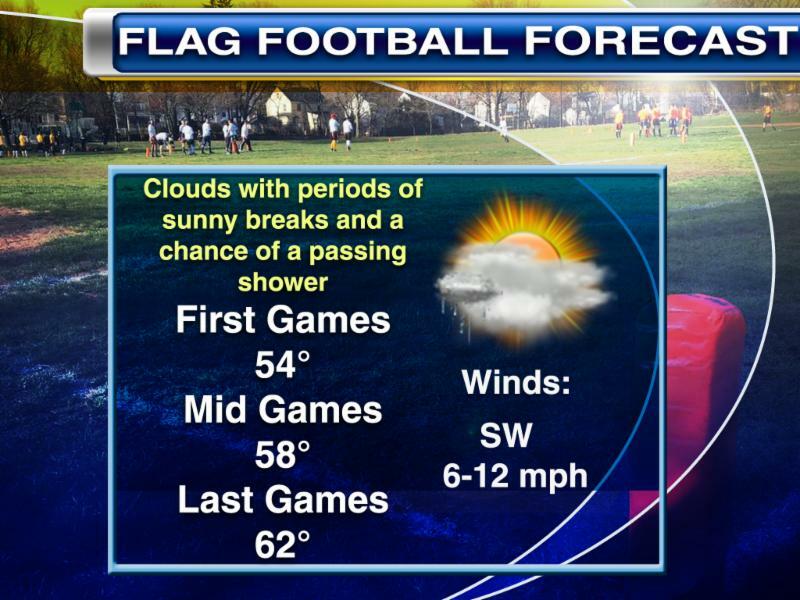 We’re looking at some solid weather for the season opener! Temps in the mid to upper 60’s as sunshine increases throughout the day. After games have concluded, make your way over to The Blarney Stone with your teammates to meet some fellow new players and referees! Try your best to stick around – at 2:30pm we will be unveiling all the Fall 2018 season team names, as well as your assigned sister team! It’s A Wrap: Gay Bowl XVIII! Another Gay Bowl is in the books! Congratulations to the Boston Hancocks, Boston Bulldogs, Boston Longfellows and Boston Brawlers. The Hancocks defeated last year’s defending Gay Bowl champions, the Bulldogs came in third place (only losing to this year’s champions), and the Brawlers landed in the finals (a first for Boston in 15 years!) before losing 18-13. Thank you for representing our league in the Mile High City! The league also had an impressive showing in Denver from our referee crew, sending five officials to the tournament from Boston: Josh Andreasen, Bob Giannino, Dave Green, Phil Paul, and Lee Townsend. This group performed well all weekend and also had an impressive presence in the Men’s A and B and Women’s Championship games. Congratulations and thank you to our refs! And congratulations to Dave Hamilton, the latest inductee to NGFFL Hall of Fame! Thank you for all of your hard work and dedication to unifying the LGBT and ally community through sport – you truly deserve this prestigious honor! Which board members think they would make great cast members on Real Housewives? Which board members absolutely cannot stand the 877-Kars-4-Kids commercial jingle? Which board members had first jobs at grocery stores, fast food restaurants or even as a gas station attendant? Your 2018 Board of Directors has many fresh and familiar faces. Get to know them a little better by checking out the new Board Spotlight today! FLAG Flag Football is Turning 20! Once upon a time a guy put an ad in Bay Windows, an LGBT-oriented newspaper published in Boston, to get people together to play football with other gays. That soon became a league with a mission of creating unity among the LGBTQ and ally community and has grown into a network over a thousand players past and present. We’d like to take a moment to say thanks to all of you who have been part of this community over the years! 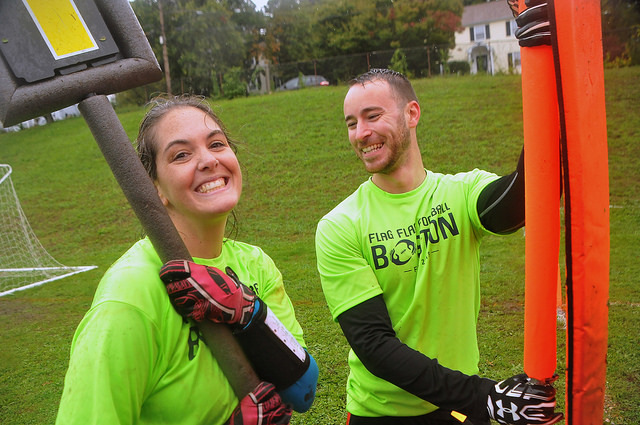 FLAG Flag Football Boston is celebrating its 20th Anniversary this fall, and we want to bring everyone home for a weekend you’ll never forget. Join us on Columbus Day Weekend (October 4-7, 2018) for a Homecoming Weekend full of events that are sure to give you some major déjà vu. Some highlights for the weekend will include kicking it off Thursday night with Kickback Karaoke and continuing with an alumni game under the lights on Friday. We’ll then invite alumni co-captains to join our current fall teams during our regular season games on Saturday and wrap up the weekend with everyone coming together for our 20th Anniversary Celebration on Sunday at Royale in Boston, where attendees can keep the party going and use their wristbands for admission to the Columbus Day Weekend party hosted by Chris Harris Presents. RSVP on Facebook now or email alumni@flagflagfootball.com and we’ll see you at Royale! As our league continues to grow and the captains program expands, the 2018 Board of Directors felt it was necessary to elect two individuals that have done an outstanding job as leaders over the last few years to form a Captains Committee. Tony Russo and Scott Williams have both stepped up this season and will assist Kathy Sutkowski in supporting the captains on and off the field. The Captains Committee will be available for any questions, feedback or help that any captain or player may need – and they’re already off to an amazing start! You can reach your 2018 Captains Committee at captains@flagflagfootball.com. Gay Bowl XVIII: Only Four Weeks Away! New to The Locker: Pocketless Shorts! Whether you have previously served as a referee or you are a new player that has considered getting involved, now would be the perfect time to do it! This fall season, we are rolling out our new Player Referee Incentive Program. Any player that satisfies a minimum requirement of 10 games as a player referee will be granted early registration for either the Spring or Fall 2019 season! On-field player referee training will take place on Sunday, August 26 (during tournament team scrimmages) and Saturday, September 8 (during New Player Clinic Day). If you have any questions, please contact Lee Townsend, Director of Rules and Referees: lee@flagflagfootball.com. We are looking for volunteers to help set up and referee for the 1st annual AJ Monteiro Community Flag Football Game! This event is to celebrate AJ Monteiro, whose life was tragically cut short as a result of gun violence in the Dorchester neighborhood. Please join us on Saturday, August 25 at Roberts Park from 12-3PM! If you have any questions, please contact Billy Carr, Director of Volunteerism: billy@flagflagfootball.com. Don’t forget – Sunday, August 26th is the 8th Annual Summer Sports Tea Dance! FLAG Flag Football is teaming up with a number of Boston’s LGBT sports organizations to benefit Victory Programs, a Boston-based human services organization supporting 2,500 men, women and children annually, across 19 diverse programs. Join us at dbar for a beach party as we celebrate one of the last Sunday Funday’s of the summer! RSVP to the 8th Annual Summer Sports Tea Dance on Facebook. For more information on Victory Programs, please visit www.vpi.org. Also – we are still looking for volunteers to help sell raffle tickets and work the door! If you can help out, please contact Billy Carr, Director of Volunteerism: billy@flagflagfootball.com. Registration for FLAG Flag Football‘s 20th Anniversary Season! We have so much to celebrate this fall, so get ready for a spectacular season! Registration for the Fall 2018 season will open at 7:00PM on Monday, August 6! The registration fee for all players is $95. We will have 24 teams this fall split amongst two conferences (same model as last fall season). All NEW players are required to attend New Player Clinic Day on Saturday, September 8. Stay tuned for more information regarding the upcoming Fall 2018 season (including the introduction of this season’s captains)! Have any questions regarding registration or the season in general? You can reach your 2018 Board of Directors at board@flagflagfoobtall.com. Grab your finest caftan and don’t forget your sunscreen – we’re just one week away from Beach Bowl! Join us on August 11th from 10AM to 2PM at Ogunquit Beach for a day of football in the sand! We’ll then make our way to Mainestreet (195 Main Street) for Tea Dance from 3 to 8PM where we will raffle off some great prizes (including free/guaranteed Spring and Fall 2019 Registration)! RSVP on Facebook today! Paris 2018 – Gay Games 10 are kicking off this weekend and the entire FLAG Flag Football organization would like to give a huge shout out to all of our athletes competing on the world stage – including our sponsored athlete and Gay Games Ambassador, A-Sam Xu! Gay Bowl XVIII: The Mile High City! …congratulations to Dave Hamilton on his induction to the NGFFL Hall of Fame Class of 2018! Not only do nominees for this honor need to be a member of the NGFFL for at least 7 years, but they must make extraordinary contributions to the league on and off the field and demonstrate excellence above and beyond the standard of play. Congratulations on this honor, Dave—we’re so lucky to have you! Come join us for Youth Field Day on Sunday, August 12 from 12:00PM to 3:00PM for an afternoon of fun at UMass Amherst with over 80 LGBTQ+ youth leaders selected from across the state as we play football and share the FLAG Flag Football mission with this young community. Space is limited for this initiative. Please contact Patrick Santos, Director of Community Outreach at patrick@flagflagfootball.com if you are interested in participating or if you have any questions. Do YOU have what it takes to lead your team to this year’s SUPER FABULOUS BOWL? Demonstrated ability to inspire, motivate, and raise team morale in a positive manner. Still have questions or concerns? We’re here to help! Shoot an email to Kathy Sutkowski, Director of Captains: kathy@flagflagfootball.com. Your favorite squad in stripes needs YOU! Are you ready to join TEAM DAZZLE? If so, send a quick note of interest to Lee Townsend, Director of Rules & Referees: lee@flagflagfootball.com. Our annual Beach Bowl is coming up on August 11th in Ogunquit, Maine! We’ll be at Ogunquit Beach from 10AM to 2PM, followed by Tea Dance at Mainestreet (195 Main Street) from 3 to 8PM where we will be raffling off some great prizes (including free fall registration)! Details to come. On Sunday, August 12, we will join 80 youth leaders from across the state in an afternoon of icebreakers, games, and flag football. These leaders are selected from across the state to bring back both ideas and networks to their respective districts and schools. This event is held at UMass Amherst from 10am-5pm. Space is limited for this initiative. Please contact Patrick Santos at patrick@flagflagfootball.com if you are interested in participating or if you have any questions. Save the date for the eighth annual Summer Sports Tea Dance on Sunday, August 26th at dbar from 4 to 9PM! Come and enjoy a fun afternoon of dancing and drinks as we raise funds to benefit Victory Programs, a Boston-based human services organization supporting 2,500 men, women and children annually, across 19 diverse programs. Don’t miss your chance to bid on some of your fellow teammates in the Bachelor Auction, along with other cool prizes! For more information, please visit www.vpi.org. FLAG Flag Football will be marching once again in Boston’s Pride Parade on Saturday, June 9. We invite all players, referees, friends, and families to join us as we celebrate love, diversity, and inclusion. If you are interested in marching with the league, please RSVP here. Don’t forget to show your league pride by wearing one of our limited-edition T-shirts or tank tops. Shirts must be ordered by 11pm on Monday, May 28 and will be handed out Saturday morning before the parade. Order your shirt here! Celebrate Pride this year in one of FLAG Flag Football’s limited-edition t-shirts or tank tops. We invite all past, present, and future players and referees to march with the league in the Pride Parade on Saturday, June 9. As always, families and friends of the league are strongly encouraged to join us! More details about marching with us in the parade will be sent out soon. Shirts must be ordered by 11pm on Monday, May 28 (only 7 days away!) and will be handed out Saturday morning before the parade. Get your shirt today at flagflagfootball.com/shop! Congratulations to this year’s Rosie Bowl Champions—Boom, Boom, Boom, I Want You In Maroon! In a nail-biting final match-up against RE(a)D 2.Hoe—The Red Hots, the maroon team came out victorious. Thank you to all the players, captains, referees, fans, and sponsors that made this spring season so much fun! We look forward to seeing you all again in the fall! Join us for the first ever Sportball Party on May 19th from 10pm-2am at Peggy O’Neil’s. DJ @steviepsyclone will be playing all of your favorite anthems and throwback tracks. Come play the field dressed in your favorite athletic gear. 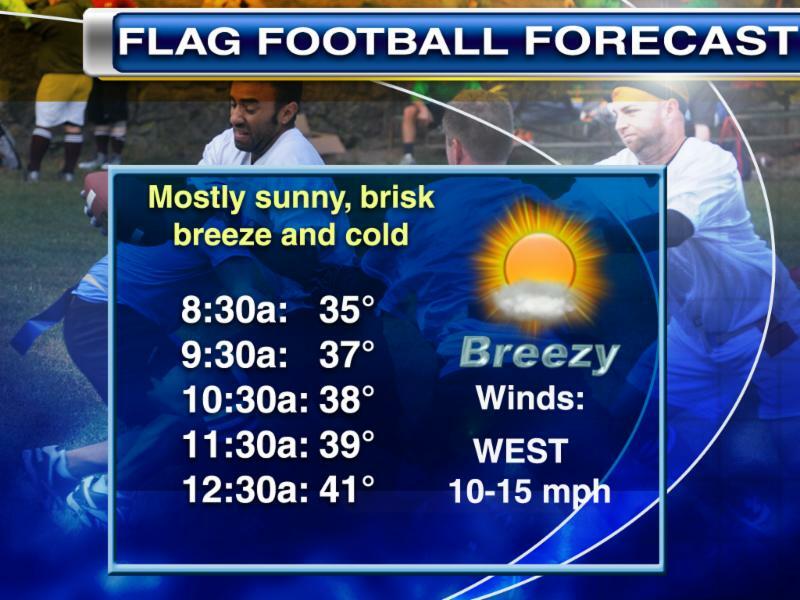 Hot FLAG Flag Football Shot Boys and Girls will serve Tito’s libations. $5 cover at the door. A portion of the proceeds will benefit FLAG Flag Football. RSVP here. Please join us on Saturday, May 19th, at Peggy O’Neil’s, at 7pm to celebrate another successful spring season. We will be recognizing players for their contributions to their team, the league and our community. But most importantly, this is our opportunity to celebrate friendships, both old and new, over some libations and light fare. Following the event, join us for our first ever after-party at Peggy’s, with music by DJ Stevie Psyclone, and hot FFF shot boys/girls. No cover for footballers for this event and will be open to public for a small cover. Proceeds from the door and shots will benefit FLAG Flag Football. Details to follow. Peggy O’Neil’s is located at 1310 Dorchester Ave. in Dorchester. RSVP here. Ladies and gentlemen—start your engines, and may the best queen win! Mark your calendars and come support FLAG Flag Football as we host this year’s Dudes ‘n’ Drag: D-Squared—a fabulous fundraiser to benefit our tournament teams! On May 17th, we’ll be putting on a night of laughs, friends, and moments you’ll never forget. There are going to be drag performances that will knock your socks off. Oh, and don’t forget that Pit Crew! Ticket prices are $25 for general admission and $40 for VIP seating. Don’t miss out on spring’s hottest and fiercest night! Purchase your tickets now while supplies last! Door will open at 7pm and the show begins at 7:30pm. Backpacks are not allowed in the venue. Please plan accordingly. If you are unable to join us at the event, please consider making a donation below. Scholarship recipient Alan Cook, foreground, along with his friend and teammate Nick Spina. Boston’s FLAG Flag Football League is very proud to award its Marc E. Lewis Youth Scholarship to Alan Cook from Methuen High School. Alan will receive $5,000 to begin his first year in the fall as an honors student studying engineering at UMass Lowell. Throughout high school, Alan has established himself as a leader and role model. Elected captain by his peers on his current spring track team, Alan has also captained his cross-country team, ran winter track, and played both junior varsity and varsity soccer. He has been involved in his school’s Red Cross committee, Relay for Life committee, and has acted, built sets, and volunteered with the Acting Out Theater Company. He has also participated in four Pride Parades, where he has been seen both juggling and riding a unicycle! Though Alan is the sixth person to be awarded this annual scholarship, he is the first who identifies as a straight ally. Alan sites two formative experiences from early in his life as being the catalysts for his advocacy on behalf of the LGBTQ+ community. Having a transgender older brother who began to transition when Alan was in grammar school “really opened my eyes to the inequality that was happening in our community,” Cook explains. “I have been by my brother’s side throughout his transition, and I will stand by him until I die.” He also recalls how the AIDS-related death of his uncle’s boyfriend opened his eyes to intolerance. “When his boyfriend died of AIDS, the boyfriend’s family blamed my uncle and did not let him go to the funeral.” These early experiences, recognizing that his big brother was simply “born into the wrong body,” and how destructive homophobia and shame can be, have led Alan to say, “My whole life has been about trying to advocate for the LGBTQ community.” Alan recalls vividly the first time he needed to address homophobic language and the ubiquitous phrase, “You’re so gay,” that poisons too many of our high schools. One day, when hearing the phrase thrown around during a track meet, Alan “felt it was my place to step up and use it as a teaching moment.” Alan told his team about his transgender older brother, Brian, recipient of the initial FLAG Flag Football League scholarship. He explained how Brian had played on their high school’s football team and how his teammates stood up for him on and off the field. He also “told the guys that I was sick of hearing people call each other gay.” As he explains, “Everyone just nodded and went about their business, so I thought nothing more of it.” What Alan did not realize was just how meaningful that moment was for one of his teammates. Fellow runner Nick Spina listened carefully to Alan’s words. “Alan started talking about his transgender brother and how he looked up to him because he wasn’t afraid to be himself.” Though they had been friends since freshman year, Nick had never told Alan, nor anyone else, that he was gay. “I was actually surprised at how loving Alan was and accepting about the topic, especially since it was around a bunch of teammates who use the word ‘gay’ to make fun of people. I always assumed that everyone would judge me because I wasn’t like them, but Alan gave me hope that maybe one day I could fit into society like his brother does.” When, this past fall, Nick was “tired of hiding my secret” and “needed to tell at least one person so I could get it off my chest,” Alan was the obvious choice. Even though he was “confident that he would understand,” Nick did not anticipate just how supportive Alan would be and how valuable it was to have such a strong ally and friend. “The first thing he did was hug me and tell me how proud he was that I told him. For the next few weeks, I talked to Alan almost every day about how I was feeling and how I wanted to tell more people. He was my support system as I started to tell more of my friends and family. He kept on encouraging me to not be afraid to be myself.” In recommending Alan for the scholarship, Nick wrote, “He supported me when I felt I was all alone, and he taught me to love myself for who I am. He is an amazing person and an even better friend. I’m so glad that I feel confident in myself now, and Alan is the main reason for that.” Alan’s leadership and Nick’s openness are a perfect example of how raising awareness and being true to oneself and those you love can change a culture. Alan shrugs off the compliment and says simply of his teammates and their change of language, “Once they found out about my brother and Nick, they have stopped.” While Alan is “glad I was able to help Nick through his coming out process,” he hopes that “someday soon no one will have to think twice about telling people their sexual identity. It should not even be an issue in the first place, especially in sports.” Congrats, Alan! View past recipients here. The Locker is Now Open! The 2018 spring collection of FLAG Flag Football gear is now available. We are introducing two styles of hats: Pulse R-Flex Caps and Trucker Hats. The iconic hands from our logo will be 3D embroidered on the front! We are also bringing back our popular Gildan soft-style t-shirts and eco-fleece pants! All orders must be placed by 11:00pm on Sunday, May 6. Items will be handed out at the fields during Rosie Bowl on Saturday, May 19. Come join us at the Barking Crab for Sunday Funday! We have space reserved this Sunday, April 22 from 2-4pm that is right on the water. Come hang out, get to know your new teammates, and play some corn hole! Please RSVP here. The spring season is upon us!! Saturday, April 7, is Clinic Day. Clinic Day will be at Walsh Playground (967 Washington Street) and is mandatory for new players to the league. We encourage all new players on the waitlist to attend. New players who attend Clinic Day will be prioritized off of the waitlist. This will be your opportunity to come out and learn about the game and meet this year’s captains. Referees will be at the fields to answer any questions you have about the rules. What should I wear/bring? Cleats (non-metal! ), shorts/pants (WITHOUT pockets! ), water, a comfy shirt/sweatshirt, and a smile. Some players like to wear gloves, but these are not required. Returning players are welcome to attend Clinic Day, however, new players will be prioritized for playing time during the scrimmages to give them the best chance to learn the rules. Everyone is welcome to join us at The Blarney Stone (1505 Dorchester Avenue) after Clinic Day. 1:00pm: Meet at Blarney Stone! If you are a new player (whether on or off the waitlist) and can’t make Clinic Day, email registration@flagflagfootball.com to let us know! Sunday, April 8, is the Meet Your Team party. Once again, our opening party will be at Club Cafe (209 Columbus Avenue) from 2:00pm to 4:00pm! Find out who you’ll be spending the majority of the season with and which color you’ll be rocking. Meet your captain(s) and teammates and find out some exciting new updates! RSVP on Facebook. All are welcomed and encouraged to come. Don’t miss what we have in store for you! Are you excited to get back on the football field? Do you need to shake off some rust and get back into football mode? Join FLAG Flag Football for some conditioning and skill development sessions this month. These sessions are open to the entire league, whether or not you plan on registering for spring season, and are free to all participants. We welcome any new players or friends of the league … come check us out!! There will be four sessions: March 20, 26, 28, and April 5. The session on March 13 was canceled due to weather. All sessions will be at South End Fitness Center (785 Albany Street, 4th Floor). We will start at 7pm and go for approximately 60 minutes. There is access to a locker room and free garage parking. Mark your calendars! Registration for our spring 2018 season will be on Monday, March 12. You’ll be able to register on our website here: https://flagflagfootball.com/registration So you don’t miss any important info about our league, subscribe to our email newsletter. Do you have a strong desire to lead others both on and off the field? Do you want to influence your 2018 spring team? Do you think you can show more poise in the draft room than Bill Belichick? If you answered ‘yes’ to these questions, then why not step up and be a captain this spring? Your 2018 Board of Directors would like to continue expanding the pool of potential captains and would love to continue to promote the successful idea of co-captains this spring season. Don’t worry, if you are interested in captaining but don’t quite feel ready to do it alone, we will team you up with an experienced captain. This gives both of you a chance to enjoy the season while giving the new captain an opportunity to see what fun it is to play the role! You do NOT need to be an “expert.” Football is a team sport and we are here to help! If you have any questions, or if you are wondering if being a captain is right for you, don’t hesitate to email Jason Tarzia, Director of Captains: jason@flagflagfootball.com. We are now accepting applications for our 2018 Marc E. Lewis Youth Scholarship. If you know any high school seniors who have made high school and/or community sports safer for and more inclusive of LGBT youth, or if you know anyone who works with high school students, please share the link, www.flagflagfootball.com/scholarship, and encourage people to apply. We would love to once again recognize someone for the amazing work being done across Massachusetts!